Jesus the Nazarene is the English equivalent of the ordinary name by which Jesus’ friends and neighbors would have addressed Him (Yeshua‘). Another translation of the name is Jesus of Nazareth. Jesus Christ of Nazareth is a longer form. The Hebrew name Yeshua‘ (Jesus) was common in those days. In order to distinguish people who had common names the Jews added another phrase. Jewish names often included a mention of who the father was, what the person did for a living, or where they came from. Jesus had typical Jewish names as well as messianic names and names that signified His divine nature. So we read in the gospels of Jesus the carpenter, son of Joseph, son of Mary, and Jesus the Galilean. People continued to use the ordinary names of Jesus for a little while after His resurrection. 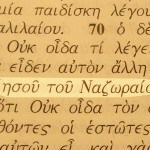 In later New Testament writings, the divine titles replaced the ordinary names. Matthew made a comment about how the fact that Jesus grew up in Nazareth fulfilled a prophecy. He said, “[Jesus] went and lived in a town called Nazareth. So was fulfilled what was said through the prophets, that he would be called a Nazarene” (Matt. 2:23). It is not clear which prophecy Matthew had in mind. 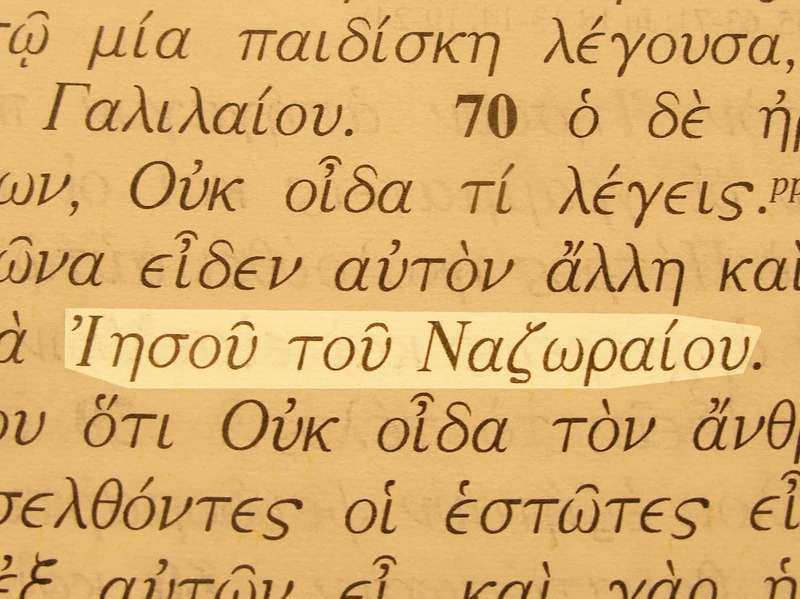 It has nothing to do with the Nazirite vow because the Greek Old Testament word for Nazirite is quite different (naziraios). Perhaps Matthew was making an oblique reference to Isaiah’s prophecy of the messianic Branch (netser) of the Lord (Isa.11:1).